Usability testing in websites can be likened to losing weight— many website owners know they should be doing it but unfortunately, most of them fail to do so. It is helpful for online visitors because it makes a website easier to navigate. As a result, it can lead to improved conversions. But somehow, many website owners still forget to do it. A session recorder, this tool enables users to view playback of actual users navigating their websites. It also records every event that happened on a website. This allows users to know everything that their guest have been doing on their websites. This is considered by many observers as the best usability testing tool on Shopify. With it, Shopify users can capture the screen and face of guests. It also records the guests’ feedback during usability test sessions. The main issue with Lookback is finding guests who would be willing to participate in usability test sessions. But this can be addressed by the next usability testing tool. User Testing has access to more than a million people. With this tool, Shopify users can identify prospective participants and choose the device they want them to use. 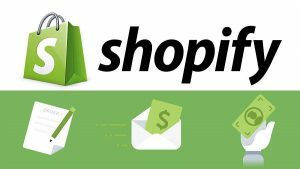 Shopify users can set participants for a task, and User Testing will send them video clips of the participants talking about their thoughts during the usability test sessions. This is a tool best used for resolving issue on design approach. With Helio, Shopify users can visualize various approaches to their web design, put these in front of testing participants and then get feedback. Like in User Testing, Shopify users can also use Helio in seeking participants for their usability testing sessions.